Ghanaian authorities have shut down the Tema Oil Refinery (TOR) Ghana’s crude refiner after an explosion on Thursday, sources at the company said Friday. 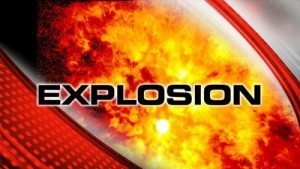 The explosion at the Crude Distillation Unit (CDU) was said to have occurred during a restarting process after the unit went off automatically during production. No one was reported dead. A fire outbreak was prevented by safety officers who reacted promptly to the situation . The refinery located in eastern port city of Tema returned to improved production after a four-year shutdown of one of the furnaces in the CDU. The new 5-million-euro furnace was installed and commissioned in December 2016 with the aim of expanding production at the country’s only refiner.